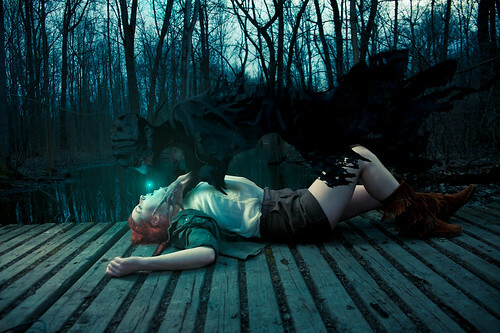 A Dementor is a Dark creature, considered one of the foulest to inhabit the world. Dementors feed off human happiness, and thus cause depression and despair to anyone near them. They can also consume a person’s soul, leaving their victims in a permanent vegetative state, and thus are often referred to as “soul-sucking fiends” and are known to leave a person as an “empty-shell.” The Ministry of Magic employed Dementors as the guardians of Azkaban until mid-1996, when Lord Voldemort was sighted in the Ministry, and their defection to his side was realised. The Dementors supposedly led the Death Eaters and Voldemort into the Ministry of Magic. After the end of the Second Wizarding War in 1998, the Ministry was reformed, and Minister for Magic Kingsley Shacklebolt ensured that they were not used by the government again. Dementors hold no true loyalty, except to whomever can provide them with the most people to feed off. They cannot be destroyed, though their numbers can be limited if the conditions in which they multiply are reduced, implying that they do die off eventually.